I was aware of Dreadtober last year but I've decided to join in and have a go this year for the fun of it. 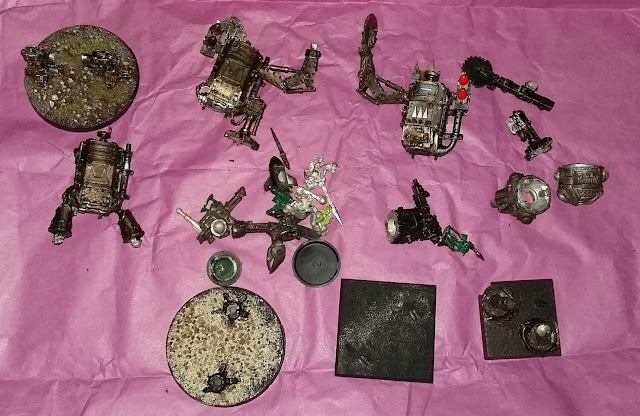 I've got this bundle of stuff which I got from ebay some time ago and since I'm working on Orks anyway I thought "kill two birds with one rokkit" and signed up. Buried in with these 3 kans (which are all metal by the way) is a Rogue Trader era Ork Dreadnought too. I'm not sure how that will fit into the force yet, but it's getting painted! I haven't made any progress on the Marines for a while so I thought I'd pull my finger out and complete the updates on another squad. 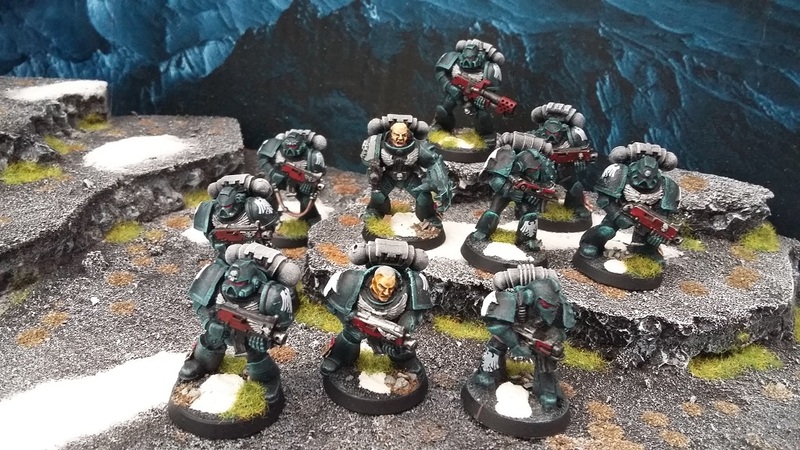 They've had their bases tarted up and decals applied so are in their finished form. The power-claw on the sergeant is of minor interest too - it's actually from the first "Imperial Guard" plastic set that GW produced. 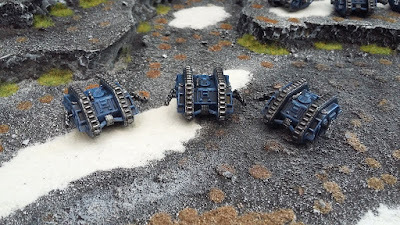 Here is another squadron of Land Raiders towards my Epic-scale force of Ultramarines. I'll complete work on the Land Raiders shortly by adding a full detachment of 10 Land Raiders to sit alongside the two squadrons I've completed so far. I'll begin with a confession: I didn't paint these models. 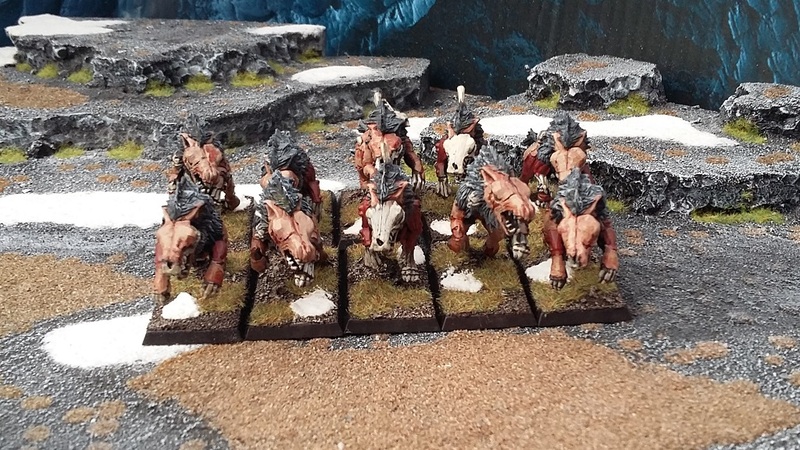 I bought an Undead job-lot from eBay a couple of years back and some of the models therein were already painted. I'm currently working on bringing the whole army up to snuff, but these guys were pretty much the only models that I don't need to do any work on, apart from updating the basing so it fits in with my regular scheme. I love the idea of them, I love the look of them and I love how much fun they are. 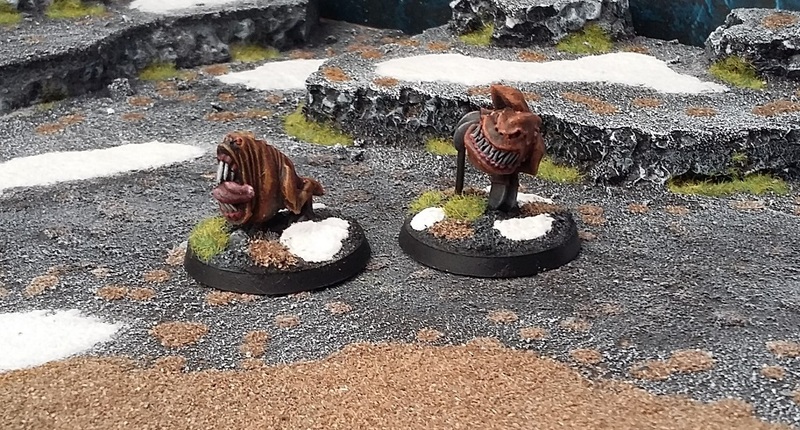 They've taken many different forms in the rules since they were first introduced back in the 1990's and these days only really exist as a way to an extra "Attack" on your profile and tend to be built-in to models. 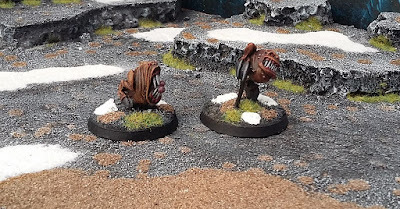 These models are from some time ago and I intend to use them as "tokens" to represent whether a particular model has bought an attack squig or not. It's simpler than playing with magnets. 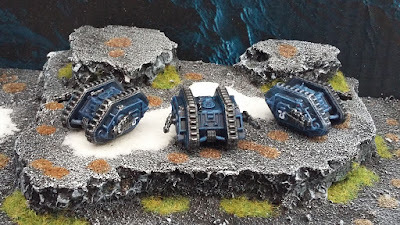 My third parallel project which I'm running alongside building my Orks and Vampire Counts is an Epic-scale Ultramarines force. 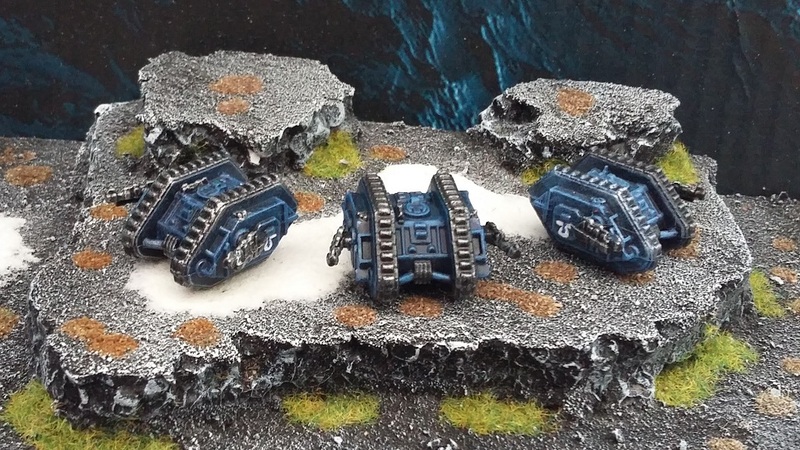 I wouldn't normally follow a GW colour scheme but I do think the Ultramarines blue is quite fetching especially en-masse in 6mm scale. So, as I'm still sorting through boxes of models for the infantry portion of the force, I'm making a start on these guys by going in tank-wise.